This morning I was been expecting to get up and venture out into a still and silent village hidden under a blanket of snow. Mentally, the blog was written – I would battle valiently against the elements to keep my Janathon honour in tact, ploughing out a token mile, I would return, heroic and be rewarded with a lovely pot of tea. I was going to take a photo of an un-snowy road, but that would have been, well, just a road. 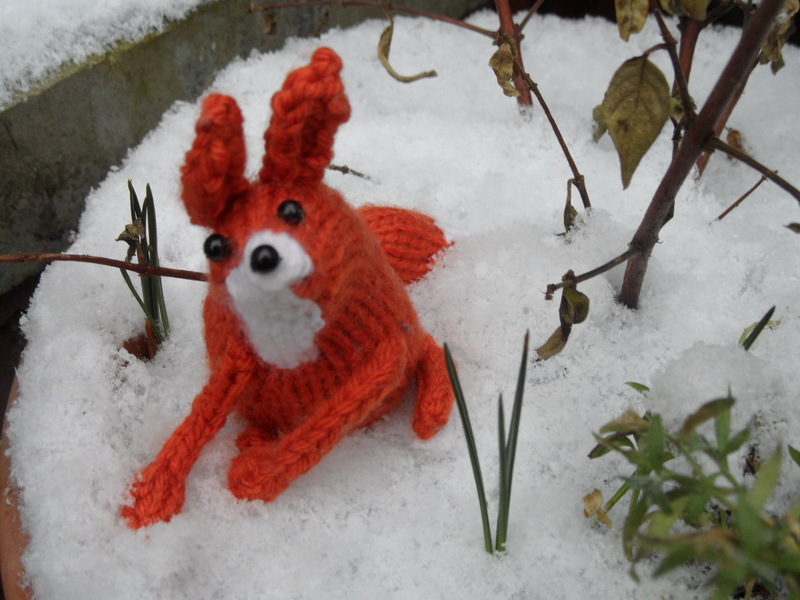 However, as I was running back up the hill, my path was crossed by a splendid fox and this gives me an excuse to include this chap from the woolly archives. A fox: what a great encounter! Such a shame you couldn’t blog about your valiant battle against the elements! I would have enjoyed reading it. Your fox is lovely! Does he have a name?